Adds Elephants in Skyrim. No DLC needed. 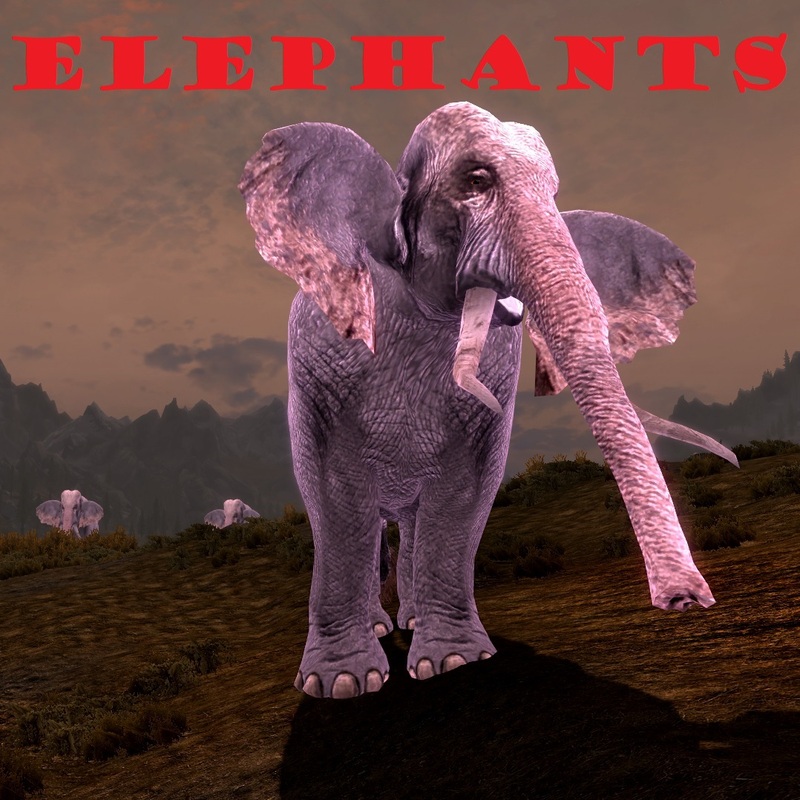 To obtain these Elephants, simply buy scrolls found with Carlotta in Whiterun. Now open up your inventory, navigate to “Scrolls” and there they are. You throw them and when they hit the ground they hatch into Elephants. In order to find the scrolls at Merchant, you must choose the mod for which you want to buy and place it at the bottom of the list when you launch the game.